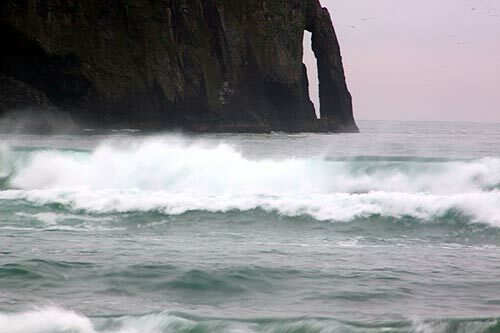 (Oregon Coast) – A quick-hitting storm will knock things around the Oregon coast late tonight and through the early morning, with the National Weather Service (NWS) in Portland issuing a high wind warning from 4 a.m. to 9 a.m. Tuesday. Gusts up to 65 mph are possible. 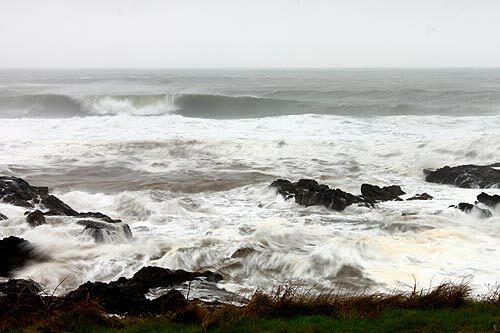 Meanwhile, angry seas will be the norm throughout the week, even though the winds will calm down after the morning. “A quick hitting storm is expected late tonight and early Tuesday morning with just a few hours of strong winds, with the main impacts expected at the beaches and coastal headlands,” the NWS said. South to southeast winds will be around 30 to 40 mph on beaches and headlands, with gusts 55 to 65 mph. Coastal communities will see south to southeast winds 20 to 30 mph with gusts 40 to 50 mph. For wave height, the NWS said an active pattern will continue the rest of the week. 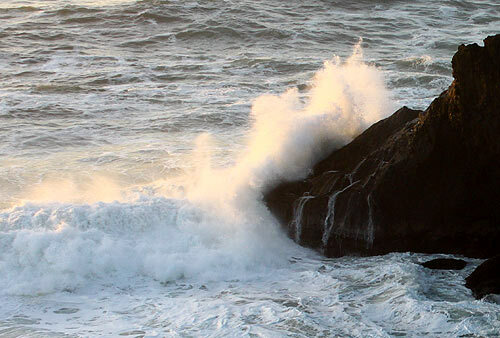 Combined seas will rise to 15 feet on Tuesday, then up to 18 feet off the Oregon coast. They’ll drop down a little on Wednesday, before slowly rising to 17 feet on Thursday, then really hitting hard on Friday and Saturday near 20 feet high. Plenty of stormwatching opportunities exist this week because of this. 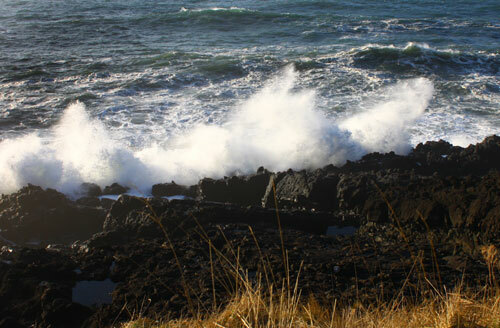 The best spots for viewing will be rocky areas like just south of Cannon Beach, Oceanside, Depoe Bay, many of the viewpoints just south of Yachats, and along the shoreline of Yachats. These will also be the most dangerous, but all feature very safe viewpoints and parking lots from which to watch the crazed tides. 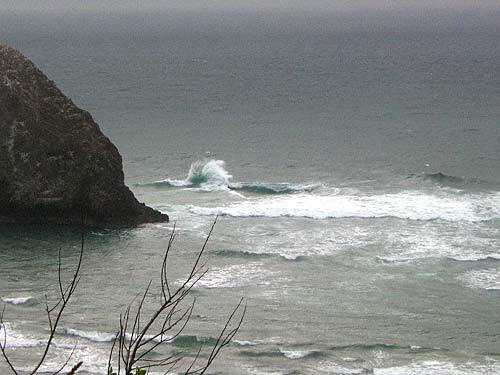 The Oregon coast looks mostly rainy but rather heavily so for the rest of the week. Much of the inland valleys will get soaked as well. “Another front is expected Wednesday with snow levels decreasing in the Cascades. Showers will continue Thursday with snow in the Cascades,” the NWS said. 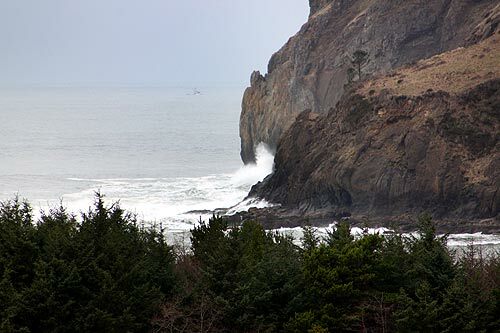 “A warm front will brush the area Friday with some rain, then possibly some drier weather Saturday before the associated cold front moves in next Saturday night and Sunday.” Oregon Coast Lodgings for this event - Where to eat - Map and Virtual Tour --- More Oregon Coast Weather.